Found in the cafeteria at work alongside said “purse” on top of freezer. 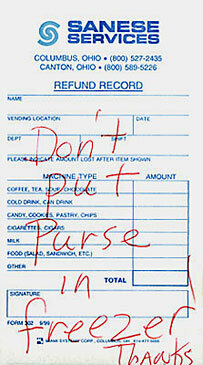 The purse turned out to be a nice sack with someone’s microwave dinners in it. Even knowing that, many questions remain, mostly dealing with the author’s sanity.